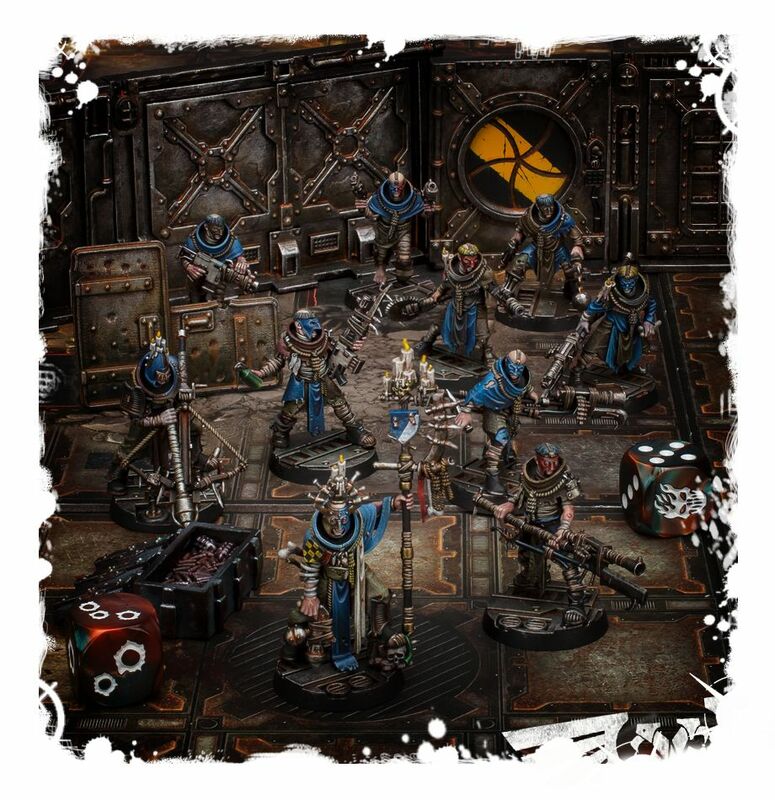 The House Cawdor Gang is out now along with Gang War IV – get your biotics, psykers and tournament play rules all this weekend from Games Workshop! 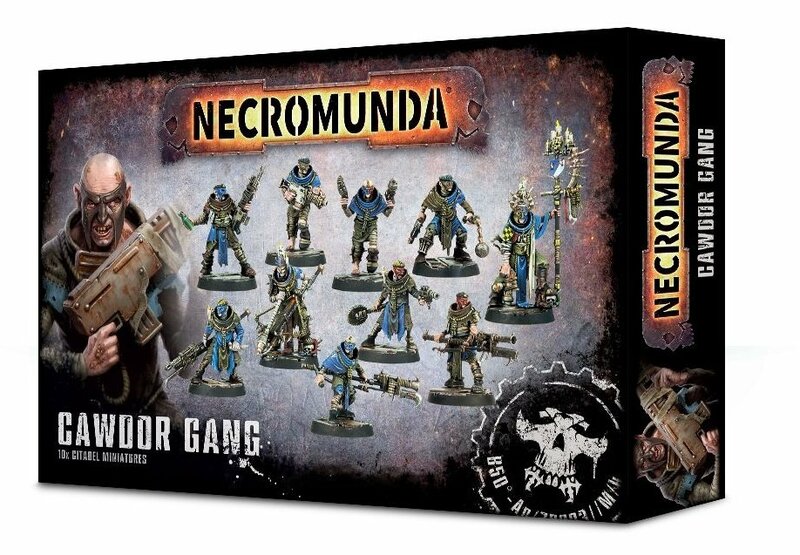 The Cawdor Gang box is out in stores this weekend for purchase and it’s got two sprues worth of the worthless! You see, Cawdor isn’t known for their cleanliness or their technological prowess – but they can turn a rusty chunk of metal into a holy weapon for the Emperor. They recruit from the dregs of society – the outcasts and the orphan – but they find their value in their faith that humanity is doomed. Their’s something freeing about that for them and they believe the Emperor is on their side. Cawdor has a very distinct look – and honestly, the more I look the more it grows on me. Maybe that’s because their cloths probably do have things growing on them…mold most likely. Anyhow, they are masked madmen with a goal: to convert the masses or beat them into a bloody pulp! 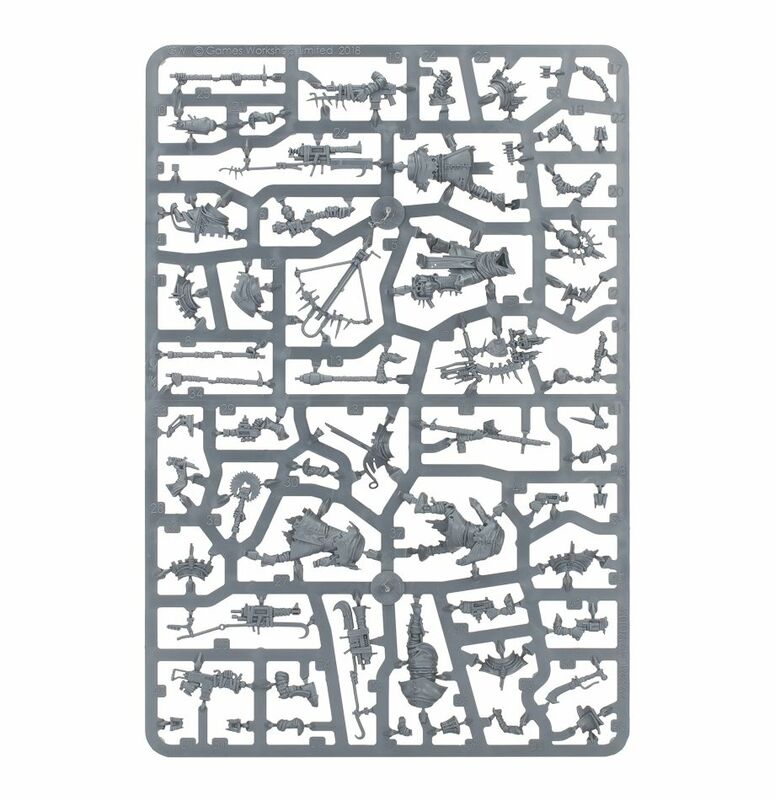 In the box, you’ll get two sprues so you can build 10 gangers. The kit is highly detailed and the models look great when assembled. If I had more room on my hobby plate, I think Cawdor models would make a really cool Astra Militarum army – or maybe followers of a Knight House. Their robes would make perfect canvases to paint the colors of their house and their weapons would be discarded parts from the Knight they follow…Oh no, I think I just made a new concept for an army I might have to build. 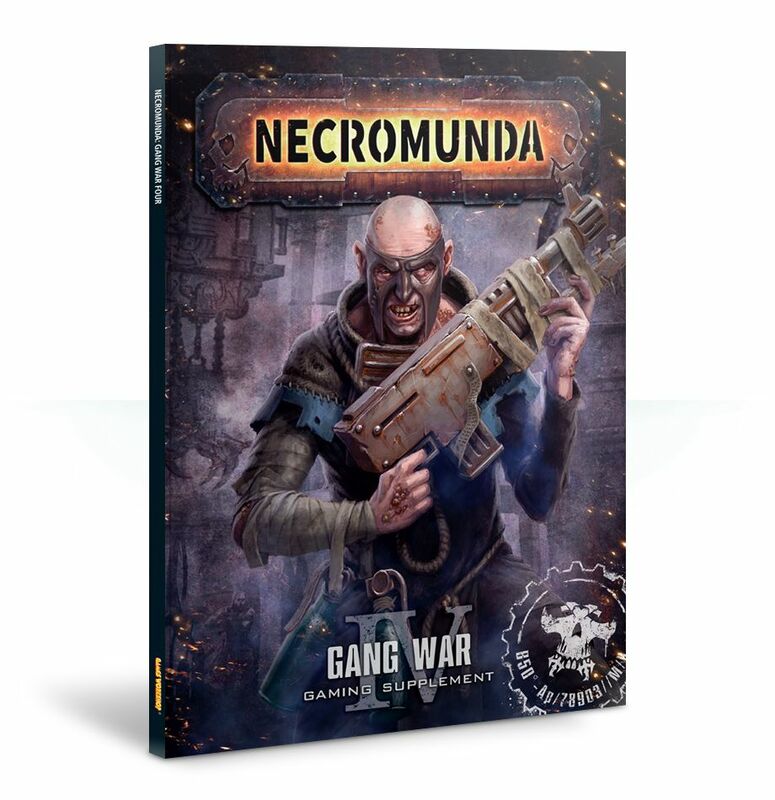 Check out the Cawdor Gang and Gang War IV – in store now! House Cawdor Gangs – Scavenging for the Emperor since m41!